You need to contact Claim4You directly if it's them you mean. Do you have the letter of authority and/or the contract you signed with Claim4You? Was the refund you had from the loan PPI or from the mortgage PPI ? ahhhh - I'll merge your threads now. Re: claim for you on twitter loans going back 35 years ? Do you have a link to or screenshot of the advert posted on Twitter ? claim for you on twitter loans going back 35 years ? i sent off to claim for you after seeing their advert on twitter loans going back 35 years is this miss selling ? It would be handy to see it. If you had signed up with Claim4You to make the PPI claim to Halifax and you got the refund for it, even though you had a call directly from Halifax you'd still really have to pay the CMC their commission. The only thing is in second post you seem to be saying that the CMC might have claimed for PPI on a different loan or mortgage than the one Halifax refunded you for. So, was the claim for the PPI refund you got from Halifax actually made by Claim4You? Or did Claim4You simply ask Halifax if you had any PPI? Also I need to know whether you signed a Letter of Authority with Claim4You. Before using a claims management company make sure you DO YOUR RESEARCH. Firms can charge up to 50% of any refund you might be due. 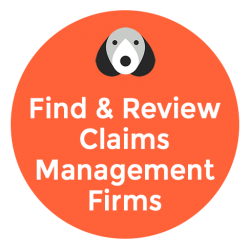 LegalBeagles helps you compare CMCs on price and ratings of claims management companies that offer to help reclaim PPI (Payment Protection Insurance) or other financial products. If you have a problem with a Claims Management Company you can post on our consumer forum for help in the first instance. To make a formal complaint you should complain to the CMC in the first instance, and if there has been no resolution within 8 weeks you can take your complaint to the Legal Ombudsman. All times are GMT. This page was generated at 06:16:AM.